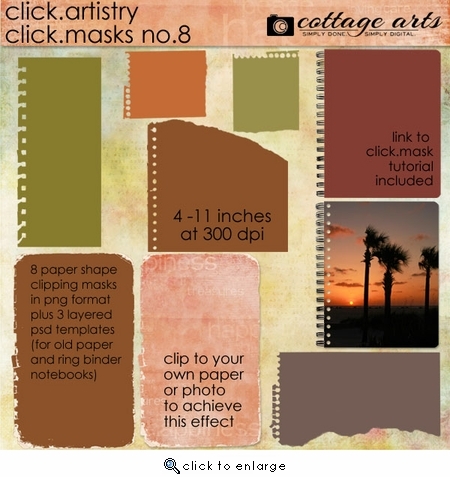 Get creative with Michelle's Click.Artistry series: products created especially to showcase your favorite images and papers in unique ways! 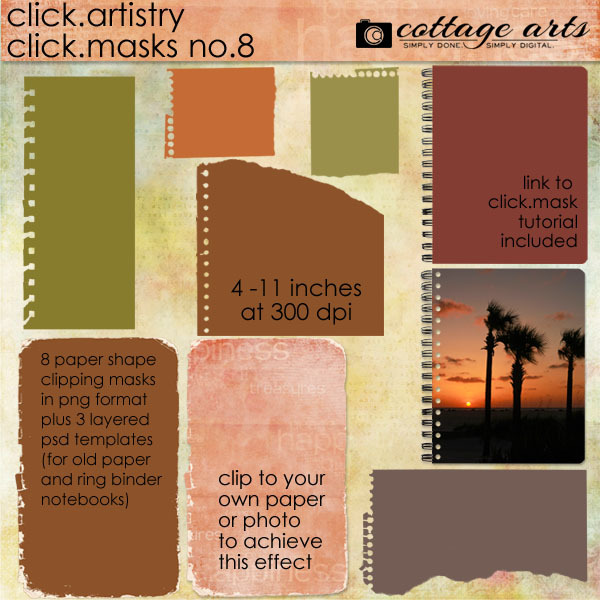 These Click.Masks include 8 paper and notebook shaped clipping masks in PNG format (4 to 11 inches in size at 300 dpi) plus 3 layered PSD templates for notebook and old paper overlay so you can get even more realistic results. So, so fun to play with and get creative. Fill with papers, photos, both! The layered PSD templates are compatible with Adobe Photoshop, Adobe Photoshop Elements, and Corel Paint Shop Pro. The PNG clipping masks are compatible with most image editors that support layers. Link to our on-line clipping mask tutorial included (in CottageArts Usage and Instructions.txt file).